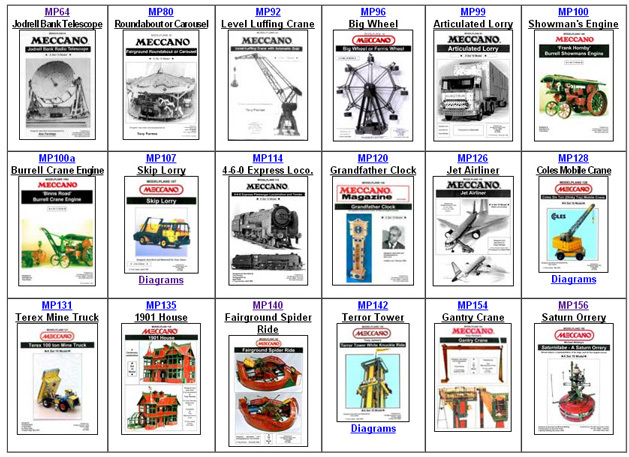 In recent years, Meccano enthusiasts (Alan Partridge, Bert Love, Tony Parmee, Ralph Rigg, Tony James, Tony Brown, Michael Whiting, Alex Barker and Claudio Rabbi) have taken over where the Meccano factory model designers left off, and have designed and perfected new models of all types, within the confines of a standard Meccano No 10 Set, and published them as MW ModelPlans. 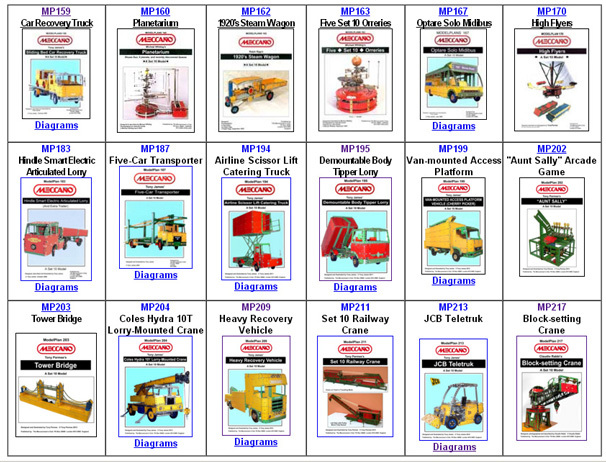 36 of these popular 'Set 10' ModelPlans are now available in their entirety on CD, in .PDF format suitable for on-screen viewing or printing, with cover picture index for easy overview and selection. For PC or Macintosh.